Australia Day, January 26, signifies an important day for all who call the island continent their home … it’s a day to reflect on the origins of the land, and on what it means to be Aussie. Its importance has altered over time – starting as a celebration for emancipated convicts and shaping into what is now a nation of vastly diverse people, from its Aboriginal and Torres Strait Islander people who have inhabited the land for over 65,000 years to those who have put down roots here for generations – and of course those who have left their homelands across the world for their own little piece of the land Down Under. But we all know it’s not even close to a ‘party’ until signature foods and native produce are hailed whilst celebrating everything we love about ‘Straya’! So let’s get to listing some of the unique land’s top iconic foods! 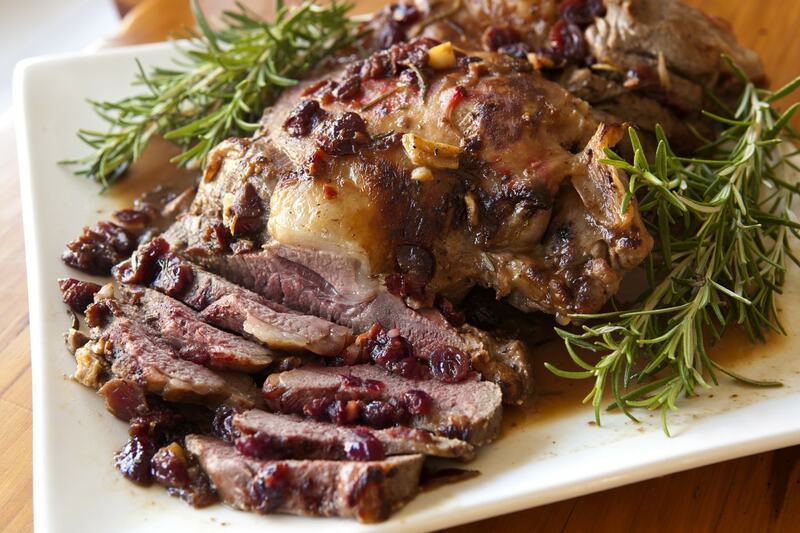 Roast Lamb, a popular pick especially for ‘Sunday Roast’ or other special occasions, is frequently named Australia’s National Dish. The classic Aussie dish is a product of English heritage having arrived with the British colonialists way back when, and has remained a favourite since – traditionally complemented with roast potatoes, pumpkin, onion and boiled peas with gravy and mint sauce. One of Australia’s icons, the Lamington is often touted as the ‘National Cake of Australia’ – in fact, there’s even a National Lamington Day, which is July 21! 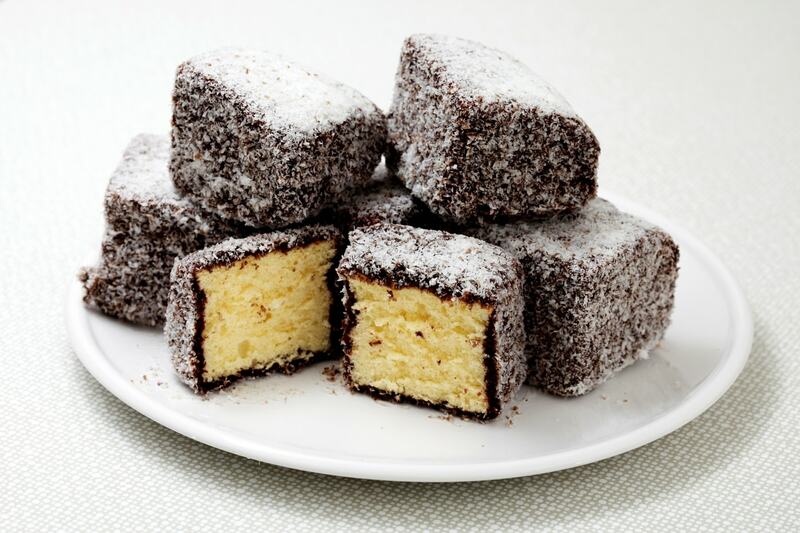 The square-shaped sponge cake, coated in a layer of chocolate icing and desiccated coconut, first came into being over a hundred years ago and named after Queensland’s governor at the time, Lord Lamington. The ideal accompaniment to tea and coffee, the cake sometimes comes in two halves with a layer of cream or jam in the middle. 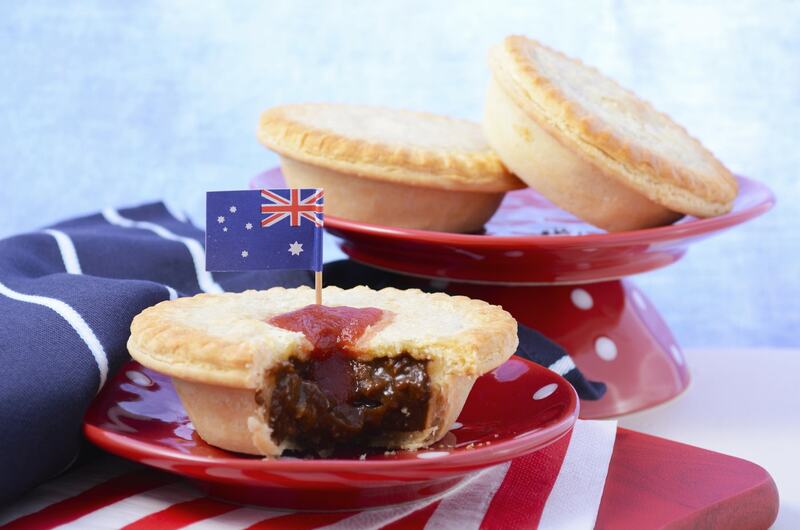 The national symbol of Australia isn’t just cute and loveable on the outside – it’s also pretty delightful on the inside as kangaroo meat is low in fat and yummo, especially cooked rare to medium as it tends to dry out easily. 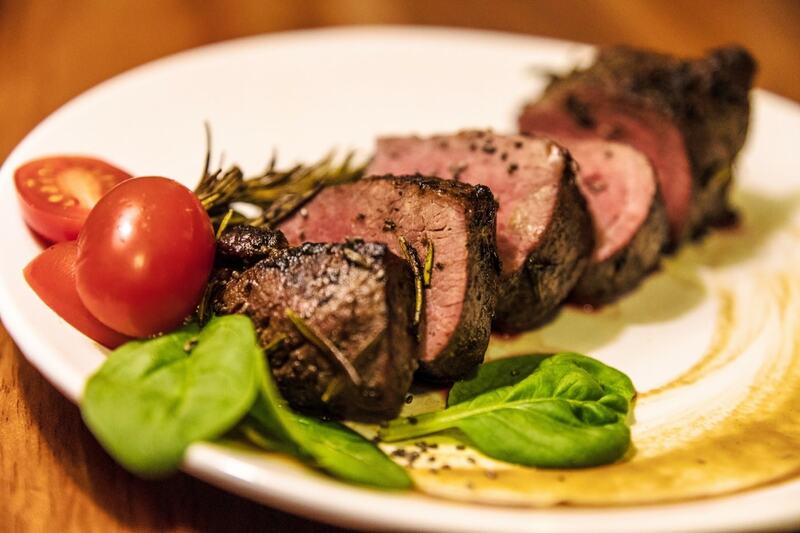 With its population nearing double the human population of Oz, there’s no shortage of roo meat, which pairs superbly with garlic, juniper, pepper and rosemary, as well as fruity flavours such as orange and plum. 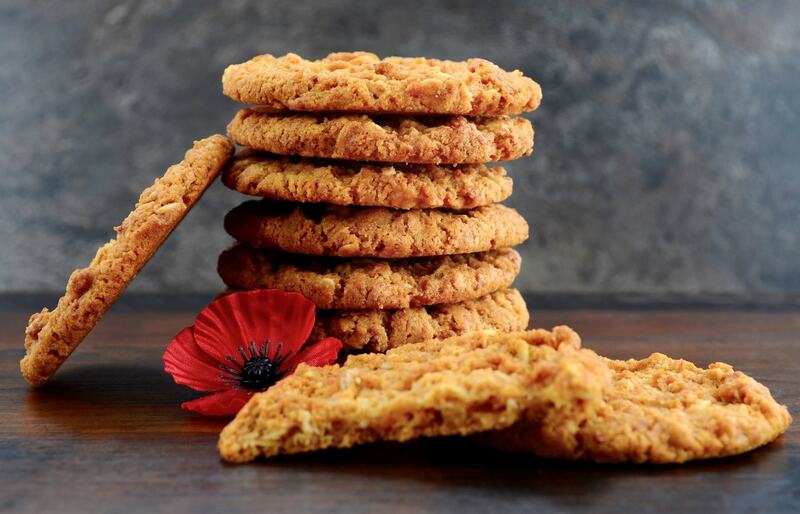 The Anzac biscuits have long been associated with WWI, sold at fetes and public events to raise funds for military effort. Military wives and women’s groups sometimes sent the ‘bikkies’ to soldiers serving overseas because the ingredients were readily available and outlived months-long voyages across the seas. The sweet and crispy treats are made primarily of rolled oats, flour, desiccated coconut, sugar and butter, with golden syrup used as the binding agent instead of eggs (as eggs were scarce during wartime). Here’s one you’ll either love or loathe! Almost black, thick and salty, Vegemite is an Aussie ‘brekkie’ staple. Created by chemist Cyril Callister in 1922, the vitamin B spread is made from leftover brewer’s yeast extract with various vegetable and spice additives, and can be spread on toast, bread or crackers. 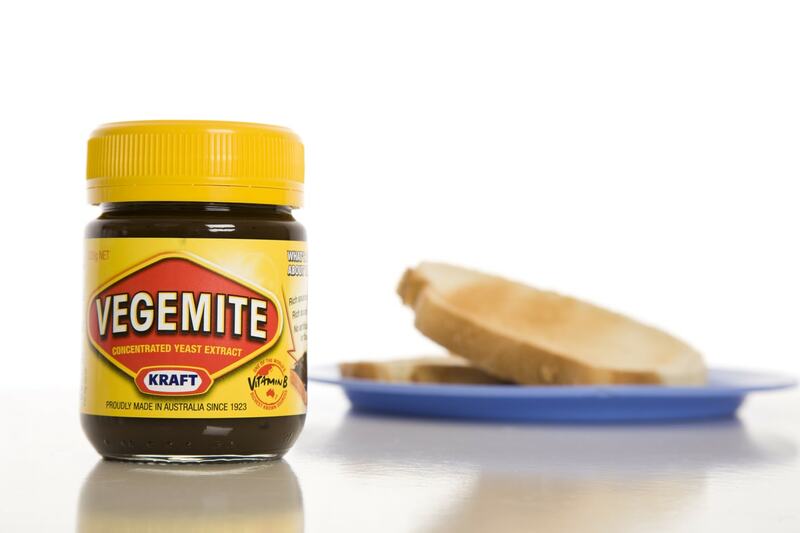 Apparently, Aussie travellers always have a jar of Vegemite in their luggage! 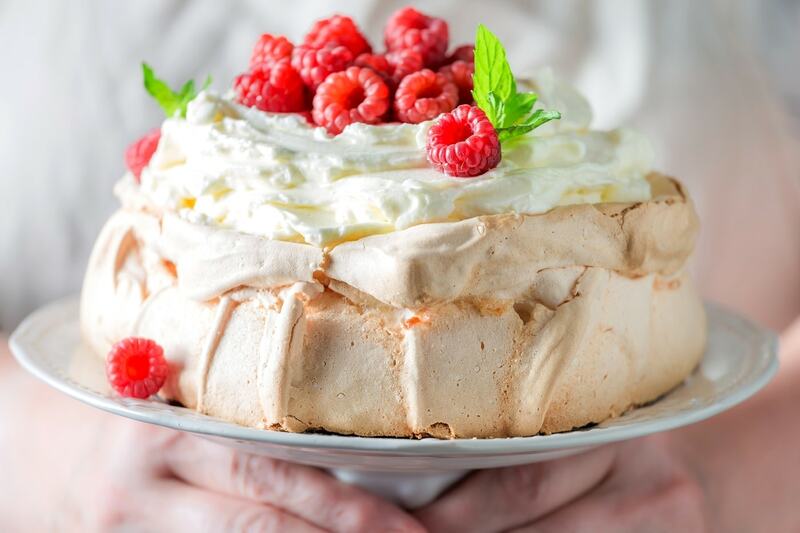 The Pavlova is one of Australia’s premier desserts made of three components – the meringue, the cream and the toppings, usually fresh summer fruits. Legend has it that the sweet treat was named after Russian ballerina Anna Pavlova who had visited Straya (and New Zealand) in the 1920s, possibly as a tribute to her light-as-a-feather grace and tutu. No get-together is complete without the airy dessert! Who doesn’t love Tim Tam, goodies made up of two layers of chocolate-malted bikkies, separated by a light chocolate filling and coated in gorgeous melted chocolate. Invented by Arnott’s Ian Norris and named by Ross Arnott after the horse that won the 1958 Kentucky Derby, Tim Tam first hit the shelves in 1964. Since then there have been numerous varieties of Tim Tam with more than 45 million packets sold in Australia every year.